Why not try a little royal reading with your children this month? Noble stories of kings and princesses abound for all ages. From the Brothers Grimm and Hans Christian Anderson all the way up to modern day authors, everyone loves an aristocratic tale. 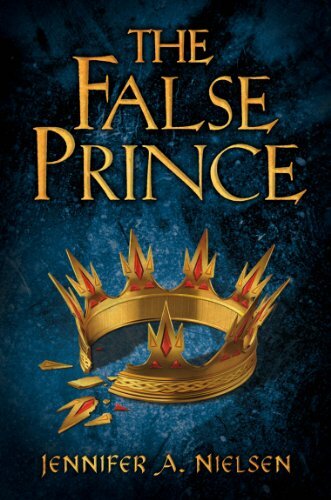 The False Prince by Jennifer A. Nielsen (Scholastic, 2012) is an exciting new book for readers ages 12 and up. It is the story of an orphan called Sage who becomes an unwilling participant in a plot to usurp the throne of Carthya. Sage is an arrogant, street-wise young man who has become a liar and a thief in order to survive his four-year residence at Mrs. Turbeldy’s Orphanage for Disadvantaged Boys. Against his will, Sage becomes the property of Bevin Conner - a formidable man, plotting to rule the kingdom by training a boy to impersonate the prince who was lost at sea and presumed dead. Conner forces Sage and three other orphans to compete for the role of princely imposter. The winner will become king. The losers must die. The high level of tension among the characters makes this a gripping story. Nielsen has a brassy, imprudent character in Sage, yet he is also valiant, honorable and ferociously his own man. Sage never goes back on his word and he will not acquiesce to the terms set by Conner. These traits will likely cost him his life. “You should always choose on the side of hope,” Sage advises another character, though his own situation appears to be utterly hopeless. Sage is under attack from Conner’s henchmen and the competing orphans, and he is fighting his own demons. As the kingdom of Carthya teeters on the brink of civil war, Sage can survive only by coming to grips with a secret past. This book is the first volume of the fledgling Ascendance Trilogy. Book two will be released in 2013. Click here to read my interview with author Jennifer A. Nielsen. 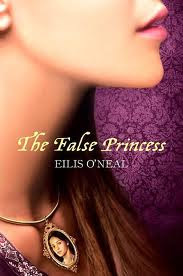 Another story of about a royal mix-up, for readers ages 12 and up, is The False Princess by Eilis O’Neal (Egmont, 2011). Upon her sixteenth birthday, Princess Nalia is informed that her whole life has been a sham. She is not the princess, but an orphaned peasant named Sinda: a stand-in for the real Nalia, who was hidden away when the oracle prophesied that her life was in jeopardy. Now that the danger appears to have passed, the real Nalia will assume her proper place at the castle and Sinda is sent back to the vulgar life she was truly born into. This devastating turn of events leaves a shocked Sinda at the mercy of her cold aunt who lives in a distant village. Sinda does her best to accept her new station and to be useful to her aunt, but she is completely unprepared for such an existence. When dormant magical abilities begin to surface within her, Sinda seeks training from a wizard. The mystery surrounding the long-ago prophecy deepens and Sinda uncovers a secret about the true identity of the princess that no one could have imagined. Though rather inelegant in style, this story is still a nice bit of entertainment. Sinda’s demotion from princess to pauper is a nice twist on the typical switched-at-birth plot. There’s a little adventure, a little romance and a little magic. This is not a gripping page-turner, but light fantasy fare that will be enjoyed, but not long remembered. 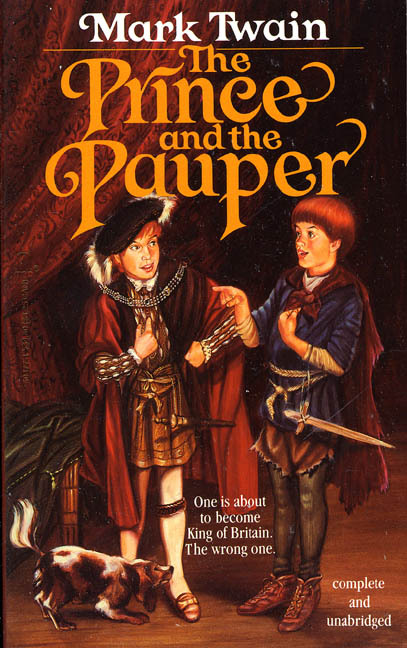 A classic tale of mistaken identity and royal confusion, The Prince and the Pauper will introduce children to an important and entertaining American author. 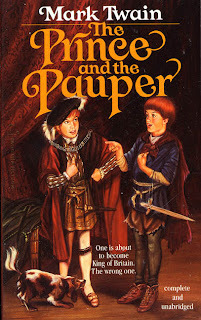 Mark Twain summarized this novel succinctly in his autobiography: "Edward VI and a little pauper exchange places by accident a day or so before Henry VIII's death. The prince wanders in rags and hardships and the pauper suffers the (to him) horrible miseries of princedom, up to the moment of crowning in Westminster Abbey, when proof is brought and the mistake rectified." Of course the actual story is so much more than that, and Twain writes with his typical flair for humor. Mark Twain is celebrated for his superb talent for capturing the dialect and peculiarities of a place or period. M.D. Clark was blessed with a father and teachers who read aloud to her right up through high school.